It is a pleasure to inform that the new version of Lucene library and Solr search server has been released. It is another release from the 6.x branch and it is numbered 6.4.1. Release fixes a few bugs found in the 6.4 version of Lucene and Solr. 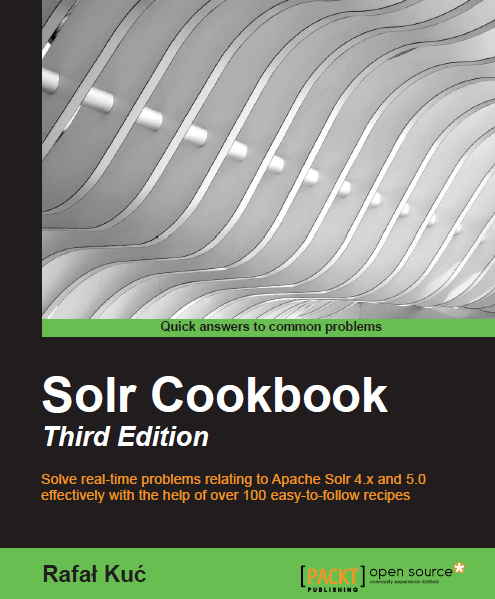 Everyone running Solr 6.4 should consider an upgrade. Apache Lucene library 6.4.1 can be downloaded from: http://www.apache.org/dyn/closer.cgi/lucene/java/. If you want to download Solr search server 6.4.1 go to http://www.apache.org/dyn/closer.cgi/lucene/solr/. The Solr Reference Guide (https://cwiki.apache.org/confluence/display/solr/Apache+Solr+Reference+Guide) is lately behind the releases. New features such as SynonymGraphFilterFactory is still undocumented, any other sources beside the ref guide you can recommend? I would say that JIRA related to features introduced in new Lucene and Solr version bring lots of knowledge related to those features. In some cases you can even find performance tests and discussions, lots of examples and so on.